An adaptation is a process of making changes over a long period of time for survival. This can include changes in looks and in behavior. This concept is a great way to teach students how we adapt and change and so do animals! For my bigs...we share an adaptation book from EPIC books called Animal Adaptations by Patricia Armentrout. We make a list of how animals can look different and a list of how animals behave. After the list is created I tell them that they are going to be collecting jelly beans, but they can not touch them with their hands. 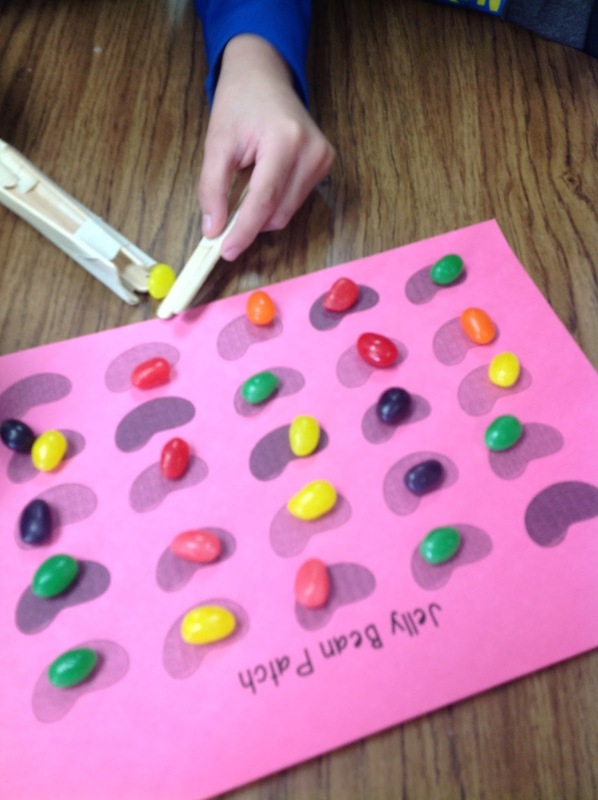 They must adapt to the task by creating something that will help them collect their food in the jelly bean patch! Love all the different ways they try to adapt to not being able to use their hands! Our winners...so cute and so proud! Here is another fun version of the Peep Palace! For this activity they can only use the items I provide at the STEM Store...our supply table. I give them time to build. Then, we set up the jelly bean patch and let the first person test their adaptations. 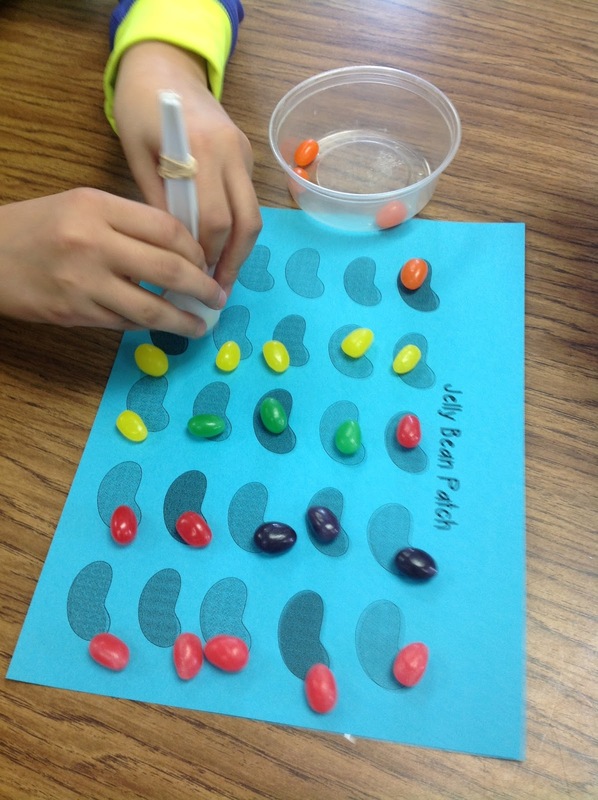 The first team to collect and place the beans in the cup yells out Jelly Beans! We then modify if we need to and then try again until everyone gets a chance to collect their food. The second part of our hour was spent making our peep palaces. 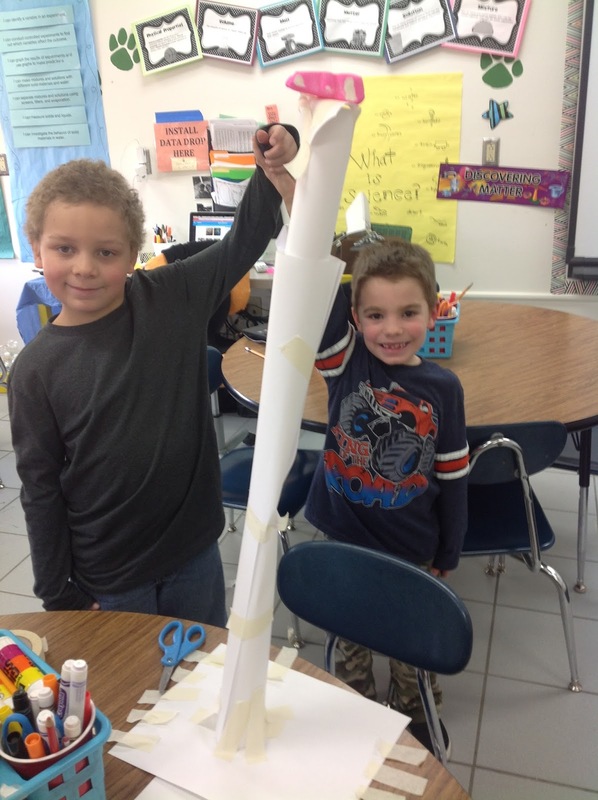 We discussed ways that animals protect themselves by building a special home. Some are way up high in trees. 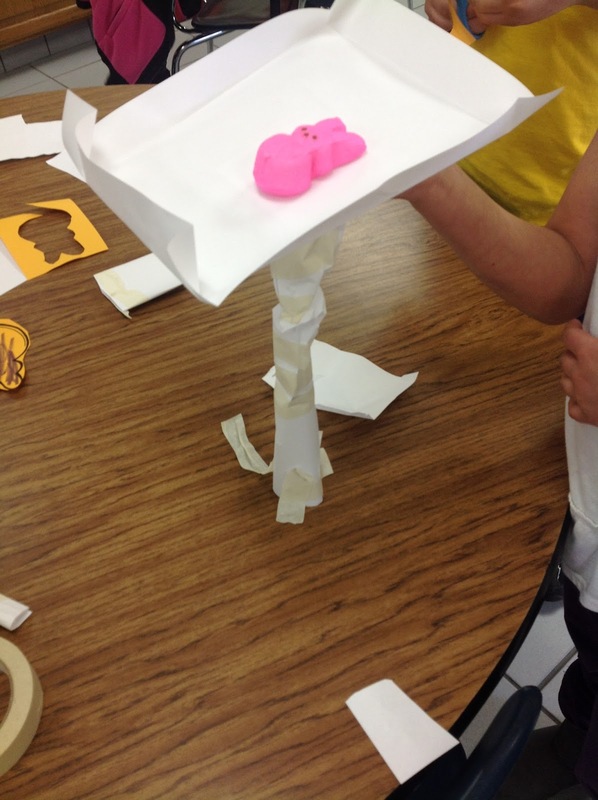 So I challenged them to make a home for the Peep rabbit that would be higher than anyone else's. The shortest home would have the predator eat their Peep first, going in order until the predator was full! We just learned about food chains so this was another perfect way to incorporate that review! 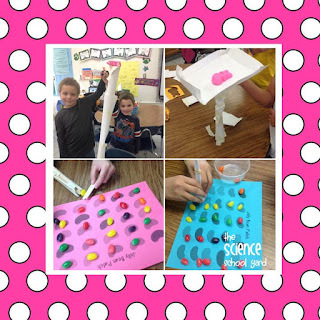 Finding ways for STEM to fit in your classroom is just that simple...Here is the pack that I got those two activities from! Check it out in my TPT store...four fun Easter STEM stations that can bring holiday fun and science together! Jelly Bean Picker and Peep Palace are just two of the fun activities in this pack! 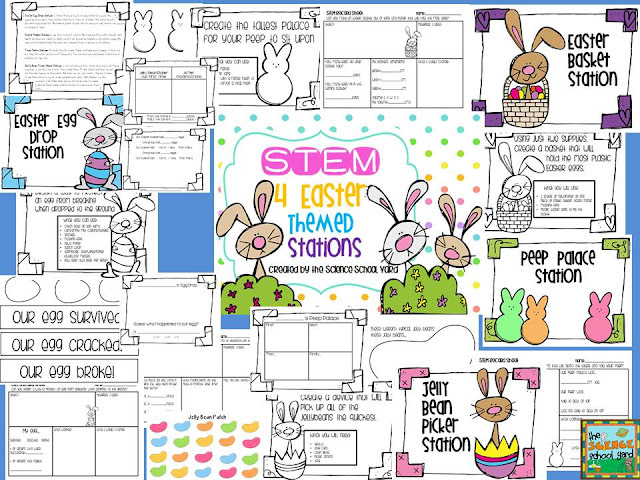 Enjoy some Great Easter STEM activities! Happy Easter!